After 13 years of methodically tucking away her $5 bills, Marie Campagna Franklin saved $40,000. Former Boston Globe journalist Marie Campagna Franklin saved thousands of dollars with a simple trick: she tucks away every $5 bill she gets back in change. The Lasell College associate professor says it all started in 2005 while she was paying a toll on the Massachusetts Turnpike. She handed the toll worker a $20 bill, she recalls, and he handed her back three $5 bills in change. She recalls having about $35 in savings by the week’s end. All you have to do is make two commitments: one is use more cash in your daily consumption, and two, tuck away every $5 [bill] that comes back as change. “Probably after two or three weeks of watching the fives grow, I thought ‘Wow, that’s pretty good, it’s such a simple way to put money aside and it doesn’t hurt,’” she says. At the time, Franklin and her husband were spending thousands of dollars a month on their children’s college tuition, she says. “It was a lot of money,” says Franklin. “I was feeling like, ‘Oh my goodness, I’m never going to have any extra money again,’” she says. But after 13 years of pocketing $5 bills, Franklin no longer worries about money. She says the habit helped her save about $40,000. 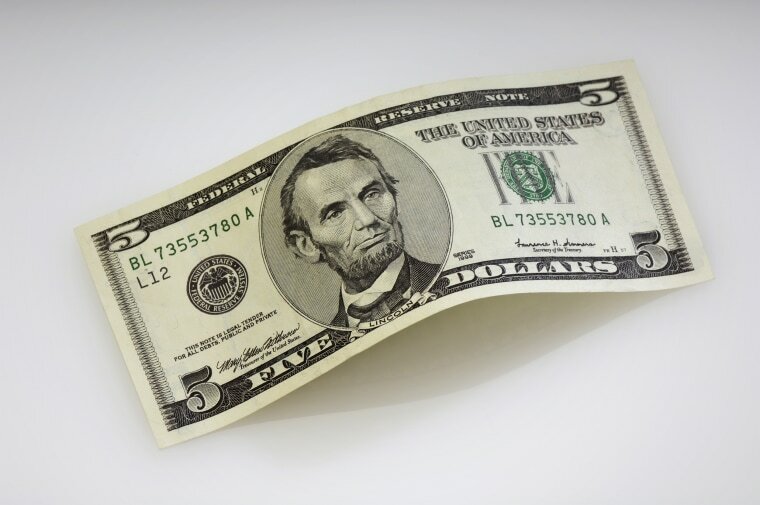 The “Save Money Fast With Fives” blogger says pocketing fives is an effective way to save because it’s easy. The blogger says she typically estimates how much money she’ll spend in a week on smaller purchases — about $100. Then, she’ll withdraw that amount in $10 and $20 bills. When she uses a $10 or $20 bill to buy something that costs $2.99, for example, she’s almost guaranteed to get at least one $5 bill back. “I pay with a $10 bill, I get a $5 back, I tuck the $5 away,” she says. Once the fives become $100, she says, she puts the money into a savings account. When she has about $1,000 in the account, she puts it into a certificate of deposit (CD), she explains. “So, from the [bank] cashier’s hand, into my wallet, into the savings account, $1,000 up, then I take it out and reinvest it in something a little bit higher,” says Franklin. Use cash: Estimate how much you spend on smaller purchases in a week and withdraw that amount in $20 and $10 bills. When you use the larger bills to make a purchase, you’re likely to get back at least one $5 bill. Pocket your fives: Tuck away every $5 bill you get in change. Put it in a savings account: Once you’ve saved around $100, put the money in a savings account. Invest: When your savings grows to around $1,000, invest the money in an investment method of your choice and watch your money grow.